Melvin J. Lattie was Pacific Clay’s sales director in the 1930s. His son, Jim Lattie, later became a Pacific Pottery collector. 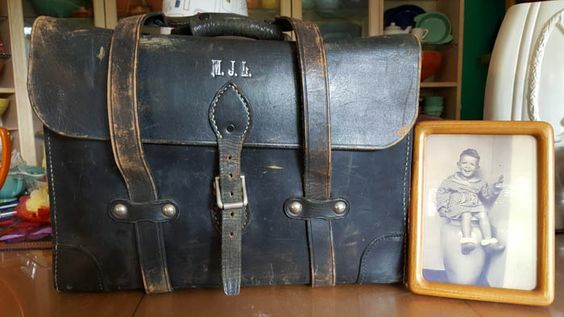 As part of a set purchased from Jim Lattie’s estate in 2016, I was able to pick up Melvin’s black leather briefcase from the 30s – now a prized possession in my Pacific collection. 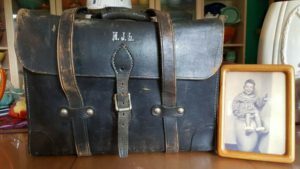 Shown next to a photo of Jim Lattie from the late 1930s – parked on a Pacific Pottery vase.